Oregon sports betting opportunities simply don’t exist. Taking things a step further, it’s clear from Oregon’s criminal code that wagering on sports through a Web-based bookmaker is also illegal while you’re within Oregon state lines. Only a handful of US states include such a prohibition in their gaming laws; in fact, the trend in American gambling law has been away from prohibition and towards regulation. Oregon is a politically-liberal state, with a dozen tribal casino facilities spread across the state, from Burns in the east to Coos Bay on the coast. The state has liberal social and charitable gaming laws, making allowances for small-scale private wagers and charity bingo games and raffles. Oregon’s politics are continuing their trend to the left, so that it was just the third US state to legalize recreational marijuana use. I say that to say – it’s quite possible that Oregonians could have access to regulated sports bets at some point in the future. For now, let’s examine the current state of sports and sports betting in The Beaver State. Oregon is home to two major-league professional US sports teams. Though the state has long been a haven for West Coast baseball (at one time, the Portland Beavers were the longest-lived pro baseball team in the world), the state is not home to a major league baseball team. Oregon teams participate in both the NBA and MLS. The Blazers, as the team is sometimes called, were founded in 1970, and won a championship in 1979 – a pretty good record for an expansion team. That Blazers squad was blessed with the presence of Bill Walton, considered one of the great foundational players of the modern game. The history of the Blazers since that championship has been pretty bleak – for two years in the early 90s, Clyde Drexler helped Portland get as far as the conference finals, but couldn’t produce a title performance. The current version of the team has been buzzworthy for three or four seasons in a row, reaching the playoffs every year since 2012. The Timbers joined the MLS as an expansion team in 2009. They haven’t made much of a splash during that time, qualifying for the playoffs just once in five seasons. A weird quirk of the fact that the team plays in hipster-infused Portland – more people go to Timbers games than Blazers games. In fact, average attendance at Timbers games is about 2,000 more than at Blazers games. Portland is one US city where the global taste for futbol is alive and well. The fact that the Timbers are extremely popular locally means you can probably find some excellent opportunities betting against the home team at a local bookie. But, of course, this activity is illegal in Oregon (which I’ll prove down below in the section on Oregon gambling law), so I DO NOT recommend you do that. Remember, this is an educational article, not legal advice. Don’t do anything you shouldn’t do, or you may get busted and fined and spend time in jail or prison. I’m just pointing out a unique opportunity for sports bettors that’s specific to the Oregon market. Though Oregon is not a state that comes to mind when you think of US sports hotbeds, the state is home to four Division 1 NCAA schools, two of which are forces in multiple major collegiate sports. Both teams have a good pedigree in both NCAA football and NCAA basketball. The Ducks play in Eugene, about an hour’s drive from the beautiful Siuslaw National Forest and Pacific Coast. Oregon plays in the Pac-12 Conference – the same as their in-state rivals, the Oregon State Beavers, more on that in a minute. Oregon is best-known for its performances in football and track-and-field. Though track isn’t at all a major NCAA sport (and you can’t bet on it through commercial books, as far as I know), it’s important to mention that Oregon is to track what Alabama is to the pigskin or Duke is to the roundball. Eugene is sometimes called Track City because of its close ties to the various US track and field teams. As for their football team – they just appeared in the College Football Championship game, losing badly to a stacked Ohio State Buckeyes squad. Oregon has risen to a kind of regional dominance, and is now considered a perennial conference championship candidate. However, because the Pac-12 in general (and Oregon in particular) are cursed with underdog status against other major conference opponents, you can usually find excellent lines backing the Ducks as an underdog. The Ducks were a conference-best 12-1 against the spread last year. Forty-five minutes north of Eugene on the way to Portland is Corvallis, home to Oregon State University and its seven varsity NCAA teams. As I said earlier, both teams are in the Pac-12 Conference – any time you have two big schools this close to one another, you’ve probably got a rivalry. Put those two teams in the same conference, and you’ve got the stuff of legend. The Civil War, an annual meeting between Oregon and Oregon State, is the longest-running sports rivalry in the country. At the time of this review, Oregon leads the Civil War standings by a record of 62-46-10, but Oregon State is fast closing that gap as their program becomes more legitimate. Oregon State doesn’t have the same pull as the Ducks, in part because they’re something of an upstart. Corvallis is a tiny dot located a few miles off the main highway – if you think this puts a chip on the shoulder of the Beavers athletes, you’re right. Look for good lines with the Beavers as an underdog, but be a bit more cautious than you’d be with the Ducks; the team was just 5-7 against the spread last year. One of two D-1 schools located in Portland, the Pilots play in the West Coast Conference. The school participates most significantly in NCAA basketball and baseball. The women’s soccer team is the biggest draw at Portland – they won two subdivision basketball titles in the early 2000s and are considering a move to Division 1. The other Portland-area NCAA participant is Portland State, who play in the Big Sky Conference. You may recognize Portland State from past March Madness brackets – they appeared in the Big Dance two years in a row, in 2008 and 2009. Both times they were bounced in the first round by a high-seed opponent, but the team is a force in the Big Sky, having won three conference championships in the past ten years alone. The definition of gambling under Oregon state law is really broad. 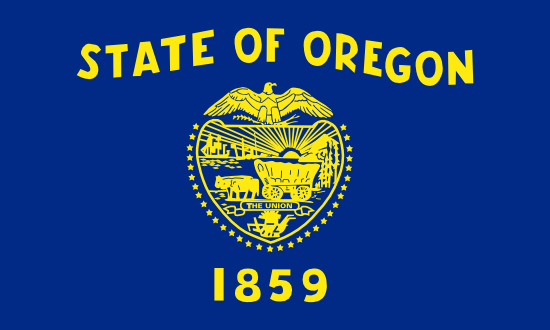 Oregon (like some states on the East Coast) essentially declares all forms of gambling not regulated by the state illegal. It’s an effective way to fill in the gray areas present in the code produced by other states. It’s disheartening, as a sports bettor, to see such a clear-cut case where betting on sports is simply not legal. You can’t stretch these words to mean anything other than: don’t bet on sports. Oregon takes this “don’t bet on sports” stuff very seriously, too. The first offense is a Class C Misdemeanor (which can put you in jail on top of a $1,000 fine), and each additional offense is a felony. That means if you get caught betting on sports online in Oregon four times, you could face life in prison based on existing “three-strikes” legislation. That’s ludicrous, and I hope it ends soon. For now, Oregonians can play a huge range of games at casinos, but they simply can’t bet on sports. The penalties for doing so are harsh, and a trip to Vegas isn’t THAT bad from the state of Oregon. Here’s the only part of the article where I’ll give advice on the subject – don’t take your chances.